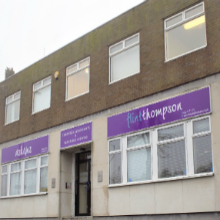 Flint & Thompson has helped many business owners and taxpayers in the Birmingham and West Midlands area. Whether you are looking to grow your business, minimise your tax liabilities or just ensure you have HMRC and Companies House compliance, we have the accountancy services to suit you. We don’t just charge you the times you call or email us. Our approach is a partnership to optimise the accounting processes in your business. We provide you with upto-date information, helping you make the right decisions ensuring you achieve long term success. Enabling you to increase your wealth and enjoy the returns from the efforts you have invested in the business. EXPERT TEAM, Big Company Service at Small Company Costs. Peter has over thirty years experience as a professional accountant and has an exciting skill set including Business Valuation, Restructuring, Private Equity, Mergers & Acquisitions and Forensic Accounting. With over 20 years experience, Louise covers all aspects of accounts preparation, taxation advice, bookkeeping services and staff training. She has a clear understanding of owner-managed businesses and can provide tailored solutions. Mike joined Flint & Thompson in 1996 having qualified with KPMG. He is a registered auditor and specialises in commercial and tax issues for SMEs, charities and not-for-profit entities. Jackie manages the Practice and has over 20 years’ experience in the industry. She heads up the team of internal operations and ensures the operation runs smoothly making sure our clients are satisfied. Mark qualified with ACCA in 2006 and had spent several years as a client manager and audit manager . Mark has a diverse portfolio of clients from a wide range of industries and has an eye for spotting where a client can save tax and improve their profit margins. Charles is ACCA qualified and enjoys working with owner-managers dealing with all their audits, accountancy and taxation returns. He also has a good knowledge of Sage and other proprietary software systems. Kevin qualified in the 1990’s and has vast experience in leading the Small Business Group. He deals with the whole spectrum of organisations from one man bands to those with multi million pound turnovers. Kim manages a portfolio of clients and works with them to meet their accounting deadlines including year-end accounts, corporation tax and audits on a variety of software packages, statutory requirements and quarterly VAT and management accounts. Paul is a Senior Accountant, who joined Flint & Thompson in 1968. He deals with sole traders, partnerships and owner managed companies, through to the final income tax computations, and filing with HMRC. Luke joined Flint & Thompson in October 2017 as an accountant, while studying ICAEW. With experience in Audit, Accounts Production, Personal Tax and Business tax, Luke has the experience to answer any variety of client queries. Leanne joined Flint & Thompson in November 2016 as a Personal Tax Accountant, having qualified as ACCA back in 2007. Leanne specialises in preparing personal tax returns and assists clients in resolution of tax-related queries. jasbir Arri joined Flint and Thompson in November 2016. She is currently training towards her AAT qualification. Jasbir assists with preparation of Year End Accounts for Sole Traders and Partnerships and VAT returns. Alex joined Flint & Thompson in March 2016 after achieving AAT in 2014 with another local firm. He works with clients to meet their accounting deadlines including Financial Statements, Management Accounts and Audits. Alex is currently working his way through ACCA. Jasdev joined Flint & Thompson as a trainee in 2014 and enjoys assisting in the preparation of year end accounts for a variety of clients. Jasdev continues to develop his skills and is currently studying towards ACCA. Yolanda assists with the preparation of Year End Accounts. Currently training towards achieving her ACCA qualification, Yolanda enjoys developing her skills, and always displays a responsible and most helpful manner. Reshma assists in the preparation of draft Accounts, Business/ Personal Tax and VAT returns for a range of clients. Reshma is currently working her way through AAT and is nearing completion after which she will study ACCA. Elaine ran her own manufacturing business for over 25 years before joining Flint & Thompson in 2017. As an experienced bookkeeper she is enjoying being part of the Accounting team, helping to support Internal Operations. Hannah joined Flint & Thompson in November 2015 as an apprentice. She gained her level 3 in Business Administration in January 2017 and is now a full time office administrator.